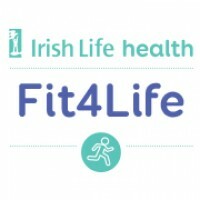 What is Irish Life Health Fit4life? Irish Life Health Fit4life is a programme for all runners whether you are a complete beginner or a regular jogging/runner. The programme will help you to achieve improved levels of fitness and wellness within the club structure in a fun, sociable environment. Why Join a Irish Life Health Fit4life Club? Let’s face it’s not easy to lead a healthy life and exercise. Knowing that there are others meeting to train will makes that bit harder to find an excuse not to go and it will motivate you to pull on your gear and get going. The fitter you get the more talking you can do while you train! It can also ensure that you get fit enough to take on your first 5km challenge or to push onto a 10km or to make the leap to a 10 mile and beyond! A qualified Irish Life Health Fit4Life leader, who has been trained by Athletics Ireland’s Coaching Team, sets out the training schedules suitable for your needs. By working with a knowledgeable coach your sessions will change/evolve as you progress, preventing hitting a plateau and boredom.